AMT Clamp Feeding Tube Clamp Connector 43000. 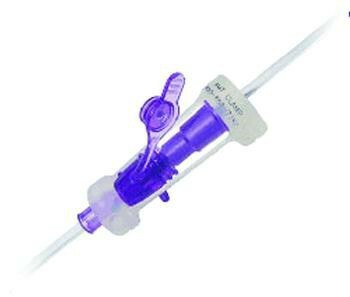 AMT Clamp Feeding Tube Clamp Connector by Applied Medical 43000 is an AMT clamp device designed to help prevent leaks from tube connectos. 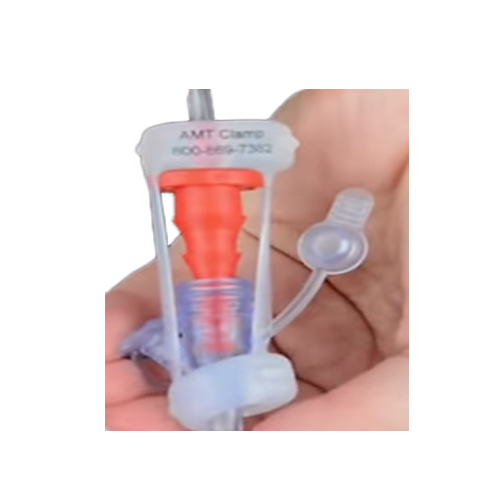 The AMT Clamp is made to be used with feeding tubes with Y-port to stepped connectors. It is made from lightweight silicone and highly durable. It is designed for both adult and infant use. 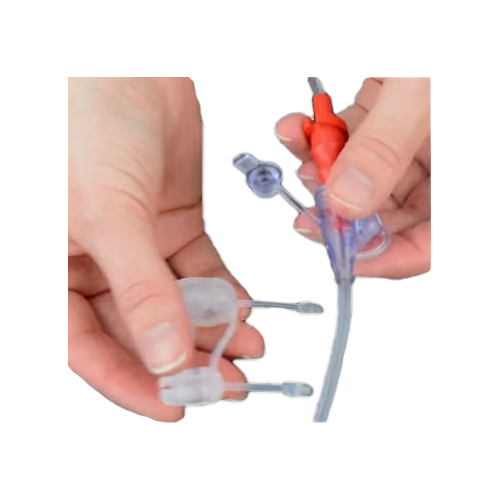 It is especially helpful during night use to prevent the feeding tube from coming unplugged. The clamp is translucent, which allows for easy visualization during assemble. 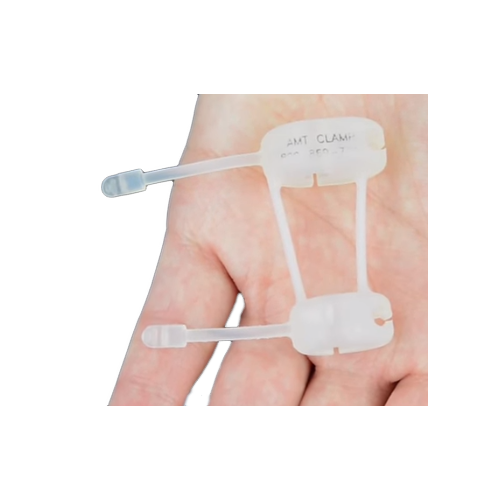 It prevents messy cleanups from enteral pump device disconnections from feeding tubes, such as the MIc-KEY Low Profice Button Jejunal Feeding Tube. My Wife has a PEG TUBE and this is great device. Much better than tape! I have a GJ PEG Tube. This clamp is wonderful and so easy to use! I am a retired NURSE, I also have a PEG TUBE. Great product! No more Tape! This is an excellent solution for feeding line/g-tube separation worries. My child receives the bulk of the daily feeds at night and it is great not to have wake up to a bed full of formula! Vitality Medical delivered the product very promptly, as well.